I know you're not supposed to look directly at the sun even through clouds, but it's so tempting when you step outside and see this eerie red sun glowing to the West through a layer of uniform clouds - especially when you've been seeing tweets all day about the huge active region (sun spots) on the face of the sun right now. 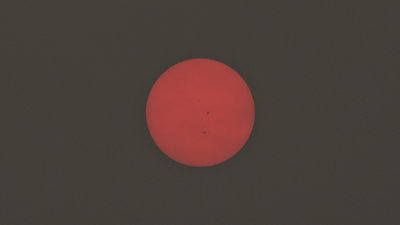 What an easy opportunity to try to capture some sunspots and this weird red sun in a flat background of gray. I tried looking at it first with a pair of eclipse glasses, and couldn't see anything at all, so then I took a few sideways glances and set up my camera. 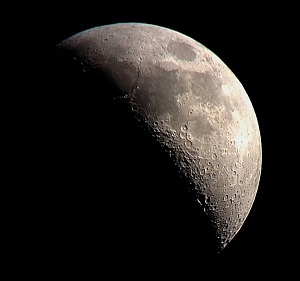 Single frame Canon T5i 300mm, ISO 100, f/8, 1/500 sec very minor contrast tweak in iPhoto otherwise straight from the camera. Active regions visible in the middle (sunspots). Chris and Zack said they could see the sunspots with the naked eye. Eeeeeeh! I wasn't going to stare at it long enough to try to see them, but I could clearly see them through my eyepiece on the camera. 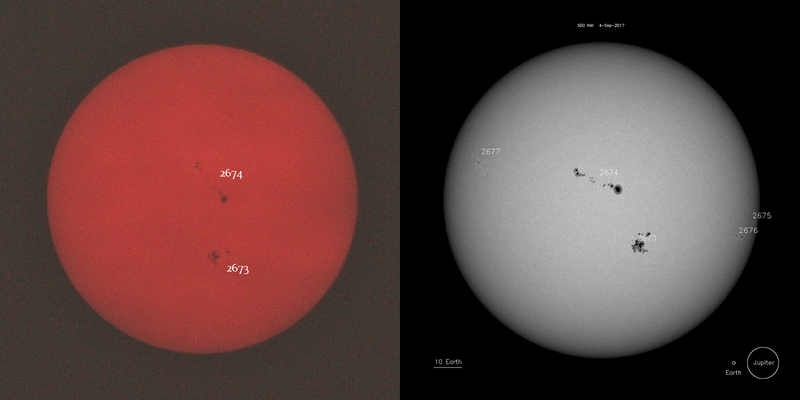 My photo vs. NASA SOHO to show the labeled active regions. I played with curves and sharpness to try to bring them out a little bit more. Had to remind myself it's through clouds so it's not going to be super sharp, but WOW look at the size of those things! I tried to get some context photos, and I've found that the DirectTV dish on the roof makes a convenient foreground target, and it's vaguely space-ey so I guess it works haha. And yet another context shot, with my iPhone before I ran inside to get my tripod. 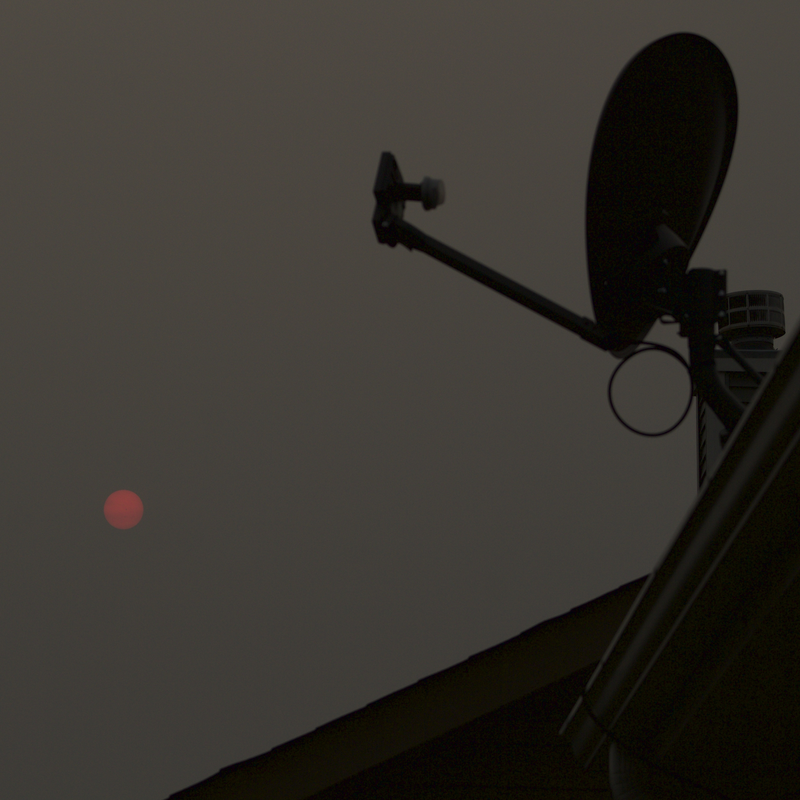 I think this weird red sun through clouds beats out my eerie yellow sun from a few years ago. What do you think? I guess I had HDR turned on because the roofline has a glow around it, but this wasn't meant to be a cool iPhone photo of the sun just an example of the setting with the weird gray sky and red sun high in the sky. It's like the color of a sunset but much higher away from the horizon. The iPhone photo makes it look a little darker than it really was because I was trying to properly expose the sun.